In the highly competitive app-economy it is essential that your app is optimised correctly for its intended platform. Andrew Green, UK director at Applause, the leader in professional crowdtesting, outlines his best practice tips on how to get your app the attention it deserves. Yes, what you call your app is important. 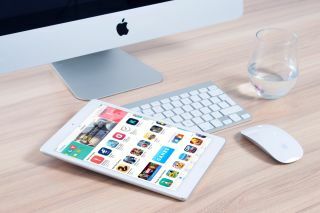 Both Apple and Google recommend titling apps to be as specific to the function of the app as possible – apps that mislead consumers may be rejected, and of course the more specific your title is, the better the chances that your prospective customers will be able to find you. But remember, translation is only part of localisation. Whether it’s colloquialisms, symbols, or how people use mobile phones across the globe – there are many cultural differences that you need to keep in mind beyond translations. You have one shot to impact and impress consumers. Market research suggests that first impressions are crucial in the app store - according to mobile marketing and analytics firm Localytics, 23% of people will only open an app once after downloading it. The firm also notes that, after a few months, the average app retention rate is 20%, so four out of five of your potential consumers could disappear in one quarter. Therefore, above all, it’s important to measure the impact and effectiveness of your app with target users before you launch to ensure that it’s optimised from the start. You can’t wait for the second or third release to get these steps right. When you are building an app that you want people to love, ASO is a crucial first step to getting it seen by your target consumers. This is of course followed by the equally important user experience for when they do click the ‘download’ button on your app, especially as consumers have become increasingly ruthless when it comes to selecting their favourite few. Get both right, and you should be on your way to achieving the ultimate goal of delivering an app that makes it to the homepage, and stays there.